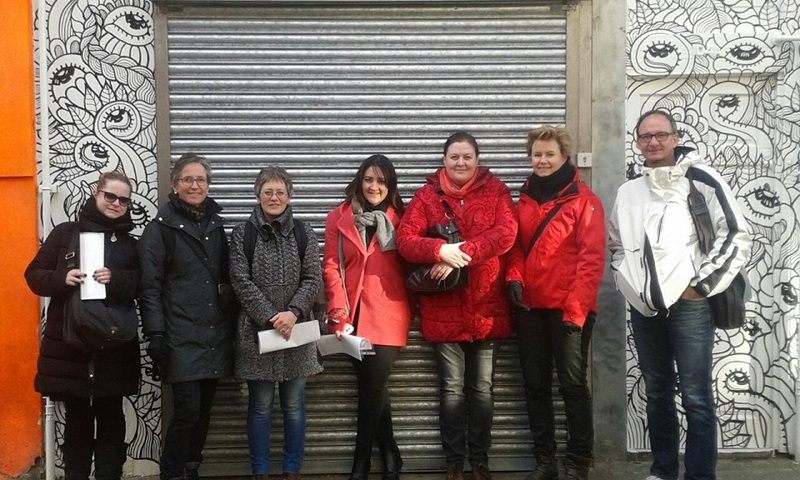 EC Covent Garden students take a trip to Shoreditch! Our students check out the graffiti in Shoreditch! 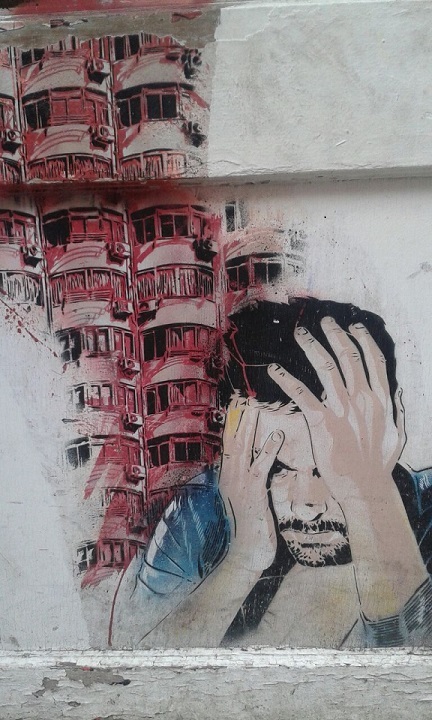 A Guided Tour of the graffiti in Shoreditch! 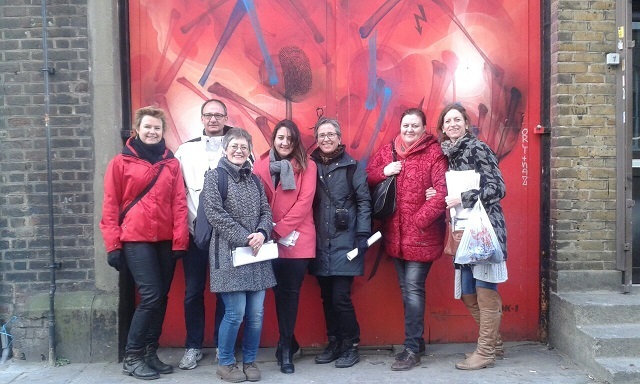 February in London and a windy grey day did not stop the students of EC Covent Garden who went to visit one of the hidden pearls of the city, the fabulous street art venues in the central borough of Shoreditch! This tour is part of our new Free English Lesson programme, open to EC Covent Garden students, which is composed of two activities, the first one is an excursion in London with one of our English teachers and the second one is a free English lesson based on what our students have done and learned. This is a way to socialise, discover London with Londoners and learn English at the same time! Since 2000, Shoreditch has grown as an important staging ground for graffiti artists from around the world, such as Swoon, Roa, Blek Le Rat and Vhils and local artists like Banksy, Eine, D*Face, Sweet Toof, Pure Evil and Stik. Over the last 15 years the walls of Shoreditch have constantly changed, hosting new and diverse artwork, and turning the area into a huge and astonishing open-air art venue. Graffiti is the oldest expression of art in the history of human beings. The first graffiti art work is 40,000 years old. In the past, graffiti was used to enforce laws, to tell stories or to consolidate religions. Nowadays graffiti is widely recognised as the art form of social and political dissent against the status quo. The day after their excursion, these EC Covent Garden students joined a Free English Lesson, a presentation class, with Kirsty, their English teacher and guide for their tour in Shoreditch. Click here if you want to learn more about our English lessons for adults in the UK. Check out our website if you’d like to do some practice exercises and learn English in your spare time.